As per the Union Cabinet decision dated 13.09.2007, every BPL (Below Poverty Line) 2002 person who has attained the age of 65 (reduced to 60 years by the Union Cabinet decision dated 10.06.2011) is eligible for pension under the Indira Gandhi National Old Age Pension scheme with effect from December 2007. But, on account of ignorance, quite a number of eligible old people are still left out. The society carried out survey of several villages in the Patamda and Boram Blocks and organized programmes where the eligible old persons were identified and their applications filled in by the workers of the Society and submitted to the Block. 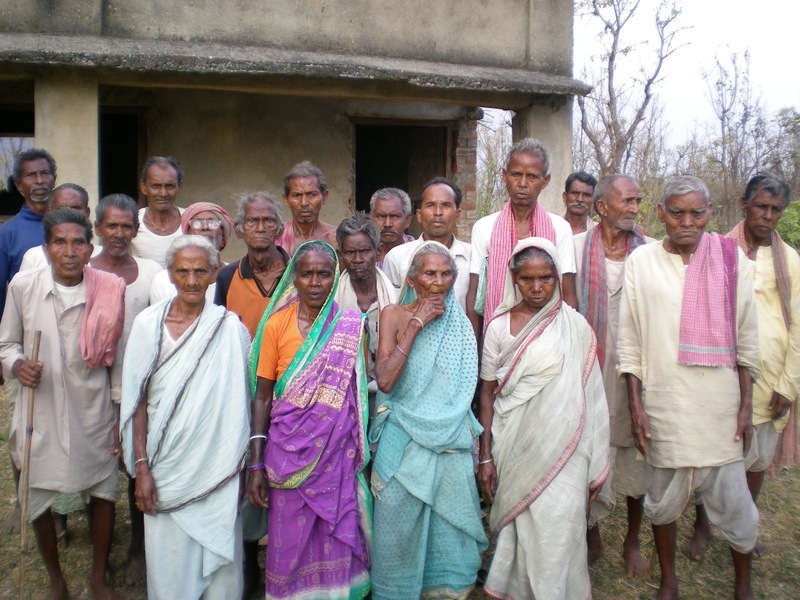 Since the local studio was about 8-9 kilometers away and it would have been difficult for the poor, old people to arrange for the photograph which was required with the applications, the Society arranged for the photographs at the village itself. The cost of the photographs was also borne by the Society.